Preschoolers adore nursery rhymes. They are generally a big part of childhood. How many do you recall? Lots I am sure. The rich language an rhymes inherent in nursery rhymes are actually wonderful pre-reading tools. They teach children how language works, build memory skills and generally encourage literacy in children. There is so much fun to be had exploring nursery rhymes with children. We explored Humpty Dumpty in preschool during a nursery rhymes themed week and the children had such a blast. It was definitely my favorite out of all the nursery rhymes we covered that week. I cut out egg (oval) shapes and cut them into puzzle pieces. The children had to put Humpty Dumpty together again using colorful band-aids. 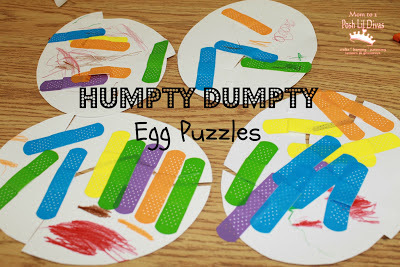 They LOVED this activity and it turned out so cute because they colored their eggs and turned them into Humpty Dumptys. 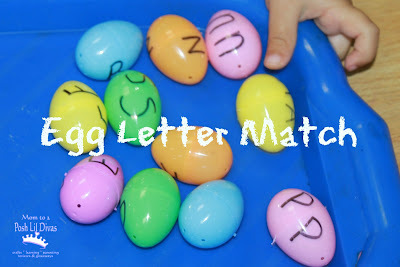 I dug out some of our leftover plastic Easter eggs and wrote upper and lowercase letters on the halves. The children were invited to put Humpty Dumpty back to together again by finding the matching pairs of letters. It was a quick and easy letter recognition activity that I was able to set-up in one of our centers. I don't know why I never did this with the Lil Divas because it was so easy and the kids had a blast. I used plastic (Easter) eggs and poured paint inside them and then sealed them with tape to keep them from opening while we painted. 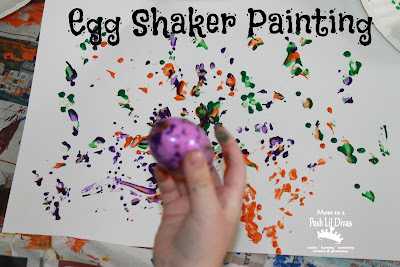 The children just picked an egg and shook it over their paper or gently dabbed/tapped it onto the paper and the paint would come out of the tiny hole in the egg. 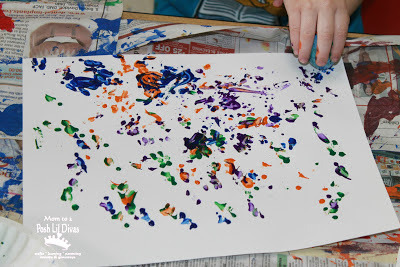 We created some colorful and fun pieces of art using this technique. 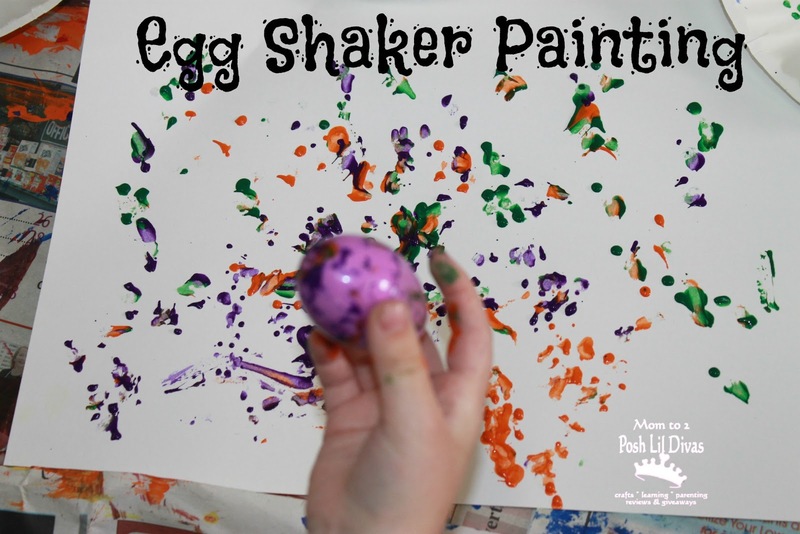 Each one turned out differently depending on how the children used their shakers. 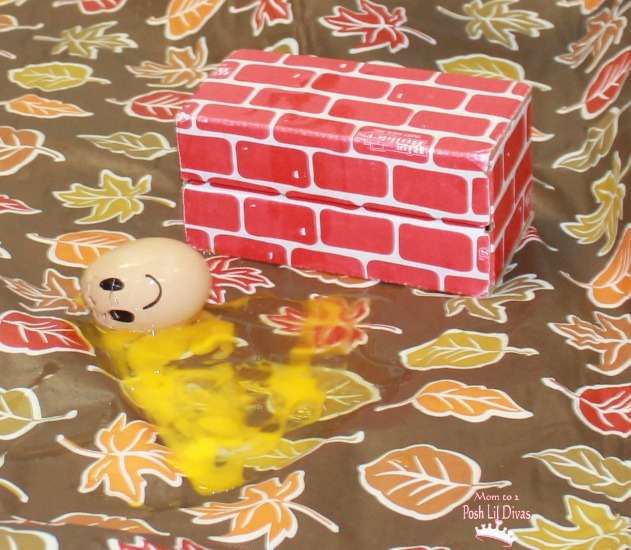 Can an egg sit on a wall? I let each child answer the question and recorded their answers. Then, we explored if it was truly possible by trying to sit Humpty Dumpty (an uncooked egg with a smiley face drawn on it) on a brick wall (one of our blocks). The children found it so funny that I actually let the egg fall and crack that I had to repeat the investigation a few times by popular demand as we recited the nursery rhyme. It was lots of fun and a great way to retell the nursery rhyme with live actions. 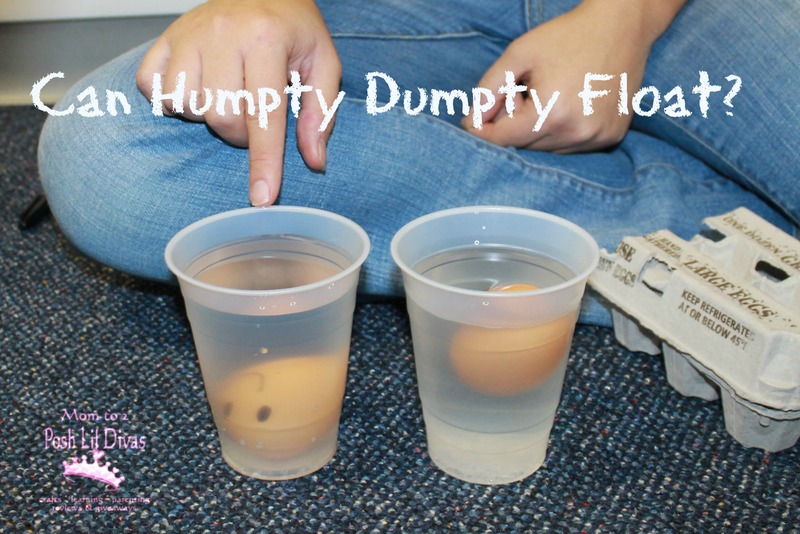 Can Humpty Dumpty (an egg) float? After we discovered that Humpty Dumpty could not sit on a wall, we set out to see if he could float and if he preferred the pool (tap water) or the beach (salt water). 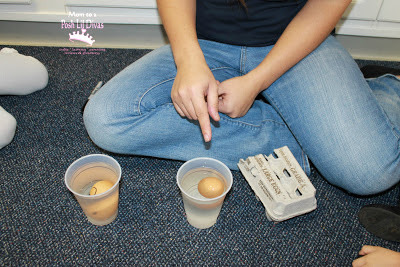 The children made their predictions before we began our experiment. 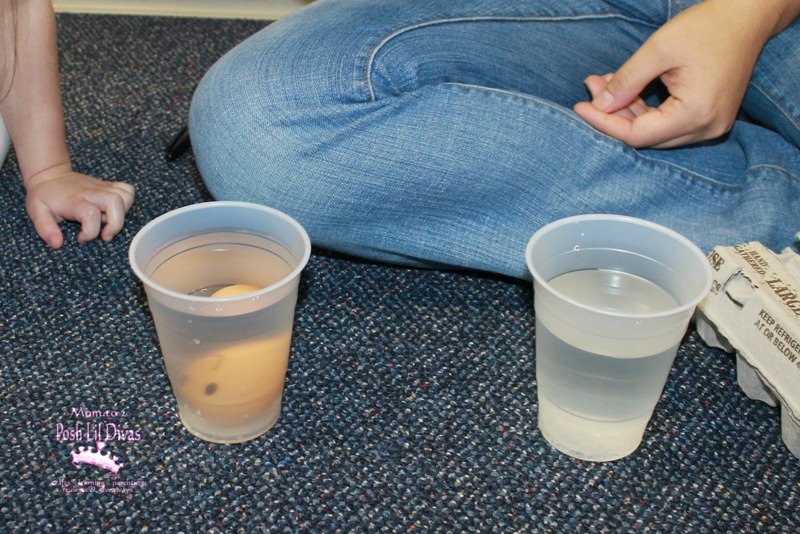 Then, we filled 2 cups with water. We added our first Humpty Dumpty into plain tap water (pool). We added salt to our second cup and dropped our second Humpty Dumpty into the salty water (beach). 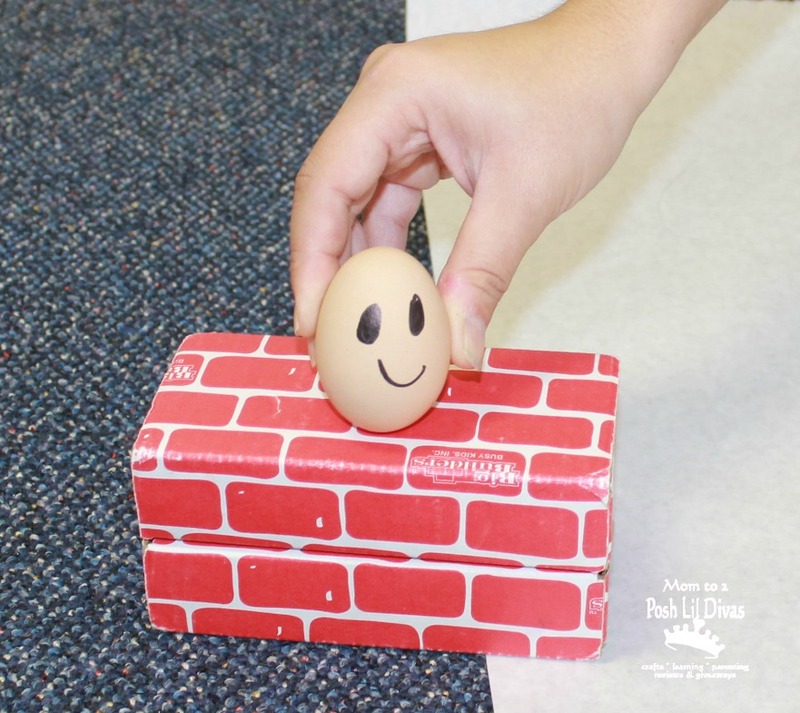 I invited the children to build a wall for Humpty Dumpty using our blocks. They were very serious about their construction and of course tried desperately to outdo each other as far as height and complexity. It was a fun way to bring play into our exploration of the nursery rhyme. Have fun exploring Humpty Dumpty! I love all those bandaids on the paper Humpty Dumpty! All of these ideas are so great. 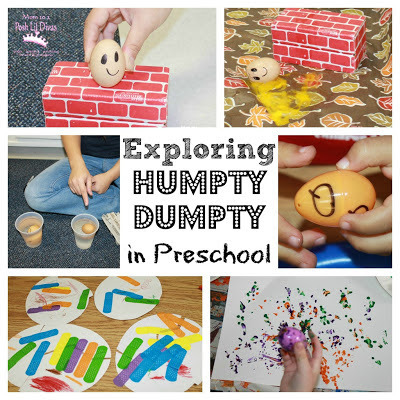 Wonderful ideas to explore Humpty Dumpty Bern! I love them all! Great ideas but I think you should give credit where credit is due - the bandaid on paper-egg-puzzle idea isn't yours - how about a link to the original site? Wicket, I am sure there are many similar ideas on the web since "putting Humpty Dumpty together again" is part of the rhyme. That's one of the wonderful things about the internet and blogs in general - it puts great ideas out there. However, this was something a teacher at my school shared with me and I thought it was cute and opted to do it with my class as well. I have no problem linking to sources of ideas, as I always desire that as a blogger as myself but if I don't get the idea from one particular source online then I don't seek out similar ideas just to link them too. I hope that makes sense. I'm not out to pretend ideas are original and all mine. Lots of us think along the same lines so it's only natural that ideas will be similar or overlap. my eggs had small holes in them already at the end. Oh, of course. Thanks! BTW, we are using your great ideas today!! Thanks so much for sharing! 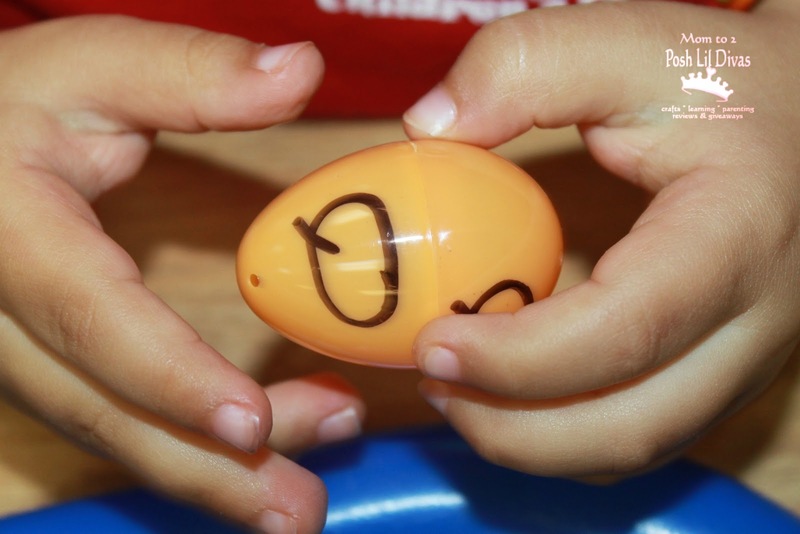 I am a preschool educator and one of the most favorite things I like to do is let the kids pack a real egg in a container of their choice and packaging material of their choice. Then we take them outside and send them off the wall. last year I think 2 eggs survived the children really enjoy! also you could do inside if you put down a plastic tarp and use a ladder. Really messy but loads of fun! About drawing a smiley face on an egg and placing it on a block that is supposed to be the wall, you can also use that as a method of cracking eggs for your consumption or for use in recipes! Just do the same as you did, but place a bowl at the bottom of the block for the egg to land into (a separate bowl from the one in which the other ingredients are mixed or, in the case of just cooking them, separate from the pan in which the eggs are cooked). Be sure to recite the rhyme as you do it.